Read the stories of the men and women who shaped the Church through their total dedication to the service of Jesus Christ. 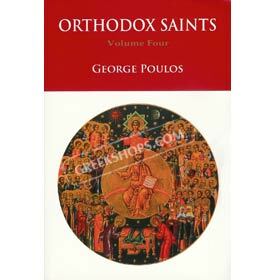 Written in a lively style, Orthodox Saints (the complete set) contains short biographies of 491 saints, according to the liturgical calendar of the Orthodox Chruch. Each volume covers a three month period. Written by Fr. George Poulos, the Pasot of the Church of the Archangels in Stamford, Connecticut.